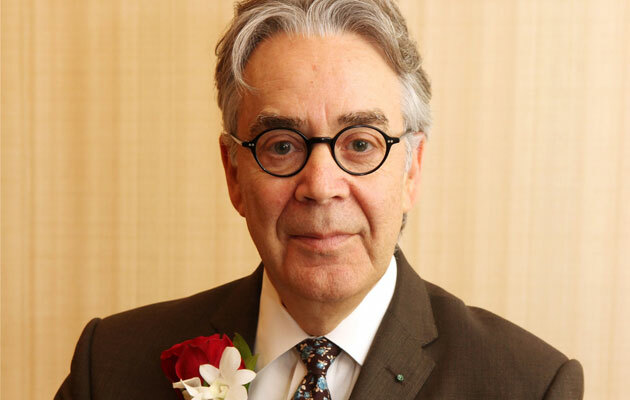 Howard Shore – the man needs no introduction. He’s won three Oscars for his work on The Lord of the Rings – 1 for Fellowship, 2 for Return of the King including Best Song – and returned to score The Hobbit trilogy. He also scored Best Picture winners The Departed and The Silence of the Lambs along with countless modern classics, blockbusters and contemporary Oscar contenders. He composed the score for this year’s prospective Best Picture frontrunner Spotlight and kindly sat down with me to answer a few questions (and yes, he mentioned missing Middle Earth). What did you know about the events of Spotlight coming onto the project and how did that inform you? I only knew about the events from the fantastic screenplay and that really drew me into it. Once you begin to do the research and go into that world, you discover a lot of things that are informative that help you for the time and place of the film. How did Tom McCarthy direct you? What conversations did you have? It really had to do with the story. We talked about the themes and discussed ideas like the pressure of the church, which was such a big part of the story. I composed themes for deference and complicity, which is really what the piece is about. So we started there and then branched out into other themes and motifs for the children – the victims – and the tragic consequences of the story. We talked about the pain and the anguish that was current in the story and also related it to Boston – the ‘city on the hill’ – with that very particular culture. In what ways did you want to reflect Boston? It was mostly in the folk instruments. I used a ten-piece chamber orchestra for the score, which included the piano, a classical harp, an electric guitar, an electric bass guitar, and the mandolin, but there’s also folk elements woven in with the Irish drum, the fiddle, the accordion and two French horns. It’s a small group that evokes some of the Irish culture of Boston. I felt the piano had a relationship with the film because of its inherent nature. It’s a very graceful instrument and it’s also very honest. As this was a movie about truth I felt the piano with its black and whites it would be an ideal companion to tell the story of the newspaper business. At this stage in your career, do directors tend to assume you know what to do and trust your gut or does it still require detailed discussion? Well, filmmaking is very much a collaborative endeavour and it works well when there’s a good collaboration where ideas are freely expressed and the creative ideas are flowing back and forth. I think a film like Spotlight where everybody has contributed so well to their different aspects of filmmaking that the film rises above that, it becomes something that’s better than anyone individually could have created with that film, that’s when it really achieved something of interest. The music feels very responsive to the actions, almost stream of consciousness – do you write down the melodies or do you improvise to the screen? I like to watch the film once and feel as if I’m in the audience watching it. Music is an emotional language to me so I like to capture those feelings and then I work in a very old fashioned way with pencil on paper to note my melodic and harmonic ideas. I usually write a body of work without actually watching the film again. I work with the story first and then I start to apply those ideas to the film to actually score it. I’m sure you’re aware of the temperature of awards circuit right now and that Spotlight is a pretty strong frontrunner to win Best Picture, which would be your fourth winner you’ve composed. How do you feel about its place in film history if it wins? When you’re working on the film, it’s not really in your thoughts. It’s only when it went out and it became known to the public as to how the film was made, why it was made, and the story that it was telling, and I think that took on a resonance. It’s really that combination of trying to make a good film and having an audience embrace it with that synergy between filmmakers and the audience. That’s when it grows and becomes something greater than the sum of its parts.